A Quick Introduction to White Pitbulls! 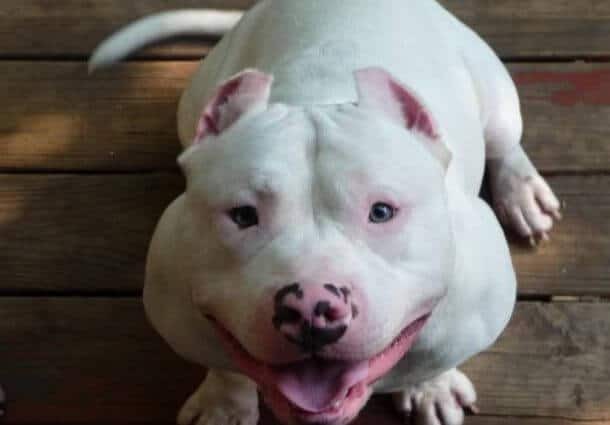 The White Pitbull is actually a variation in the color of the American Pitbull Terrier which is very sought-after because of its unique coloring. 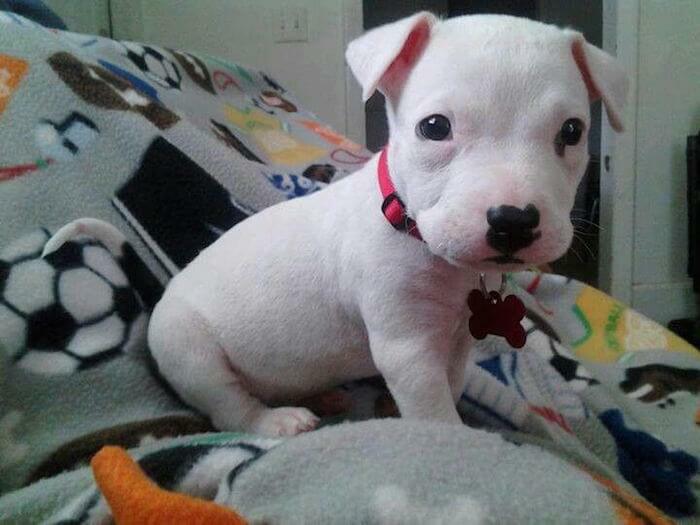 This Pitbull is all-white in color which makes the dog look very beautiful and attractive. Most of these colors are rare which make them more desirable. In this blog post, I will share a few facts about the White Pitbull with you all. Did you know that Pitbulls aren’t just one consolidated breed? Historically, Pitbulls were bred from the old English Bulldogs and gained popularity in the 1800s. These dogs were used in blood sport such as bear baiting and bull baiting. When that became illegal, these dogs were trained to fight amongst themselves. Bulldogs and Terriers were crossbred to get a breed that had the muscular body of the bulldog and the personality of the Terrier. And that’s the bloody origin story of the White Pitbulls. The Characteristics and Features of the White Pitbulls! White Pitbulls are basically medium-sized dogs that muscular and look rather intimidating. These dogs are powerful ones. Let’s look at the physical characteristics, shall we? How Much Does the White Pitbull Weigh? When it comes to broadness, White Pitbulls are between 18-24 inches at the shoulders. What’s the Deal With the White Pitbull’s Coat? The White Pitbull’s coat has a rather hard texture but is glossy and short. The colors of a White Pitbull’s coat may have patterns and stripes or may even be mixed with another color. 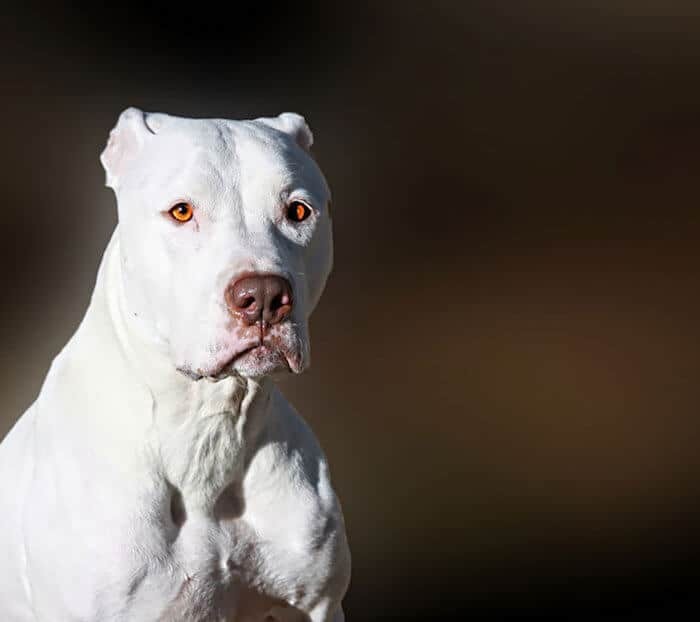 It is seen that the eyes of the White Pitbull can be of a variety of colors including sable, brown, chocolate, red, black, or multicolor. …And What About the Tail and the Feet? The tail of a White Pitbull may be crew, bobbed, or long. This dog’s feet are round, but some owners have pointed out that they’re arched as well. The paw pads of these dogs are rather healthy and are adequately cushioned as well. The Pitbull breed has been well known all over the world to have a history of fighting. 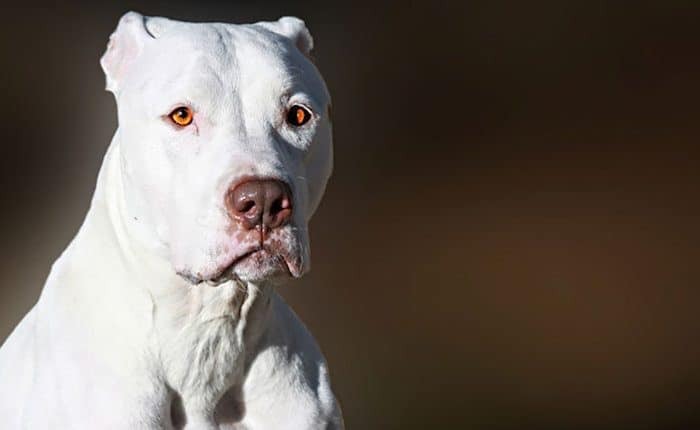 And, this bloody history still tarnishes the White Pitbull’s image as people fear this dog breed and believe that they still are as deadly and aggressive as they were before. But, this is far from the truth. White Pitbulls do have a history of violence but, in modern times, these dogs are not bred to fight. In fact, they are now bred to be a companion to human beings. These dogs are known to be friendly, loving, caring and loyal. And, they’re good with kids and other pets as well! However, these dogs still have aggressive tendencies and impulses which can be controlled by proper training and guidance. White Pitbulls are also known to be strong-willed which can make training a little bit trickier. These dogs respect a strong-willed owner. If you know Pitbulls then, you know that they are pretty active. And, you need to live an active lifestyle to meet the needs of your Pitbull. They need regular exercise and should ideally be walked twice a day. They love to play as well! But, they don’t do very well in dog parks so, it is advisable that you keep them away from them. You need to try and meet all the activity needs of your Pitbull or they may stary indulging in destructive behavior such as chewing, digging holes, chasing their tails, etc. The average lifespan of white Pitbulls is between 12 to 15 years. The White Pitbull is a color variation found in the American Pitbull Terrier. This is not a separate dog breed. Pitbulls have an infamous history of violence but we shouldn’t hold it against them. White Pitbulls are known to be loving, friendly, affectionate, and gentle dogs that love to play and go on walks. These dogs are far from dangerous and need a good trainer to show them the way. Still, have any questions left? Leave them in the comments section and we will get right back to you! So I have a white pitbull and she has a rash on her stomach due to allergies. The vet says most likely it’s from grass. So they prescribed her Apoquil For an allergy medication. Is there any other cheaper remedies that I can use?